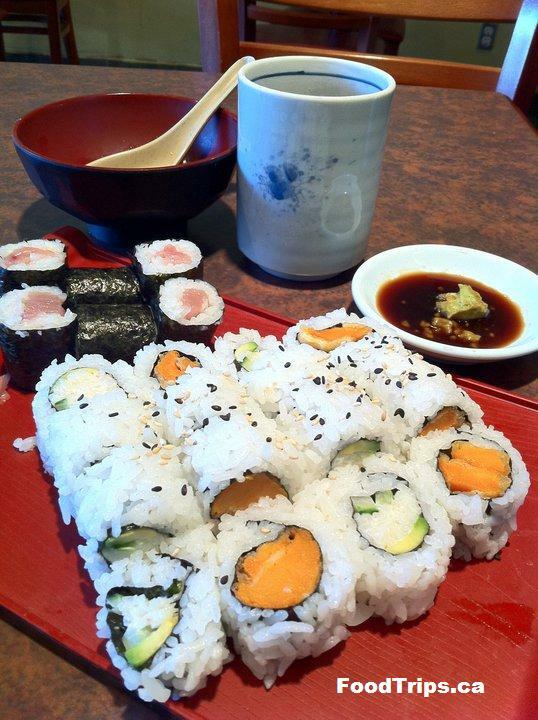 Cheap Vancouver sushi: all that for $5.95! And when one talks about Vancouver and sushi, one has to mention chef Hidekazu Tojo, the Vancouver-based inventor of BC roll, which is well known even in Japan. His official bio on his website claims that he also invented the ever popular California roll, but I am skeptical about it, since at least two other chefs based in California are laying claims to having invented the maki superstar. Vancouverites are spoiled for sushi ranging from cheap ($5.95 for 22 pieces of different rolls – some of the good ones are along West 10th Ave., near the University of British Columbia campus) to the really expensive ones like those at Tojo’s, where an order or BC roll would set you back $26 before taxes. 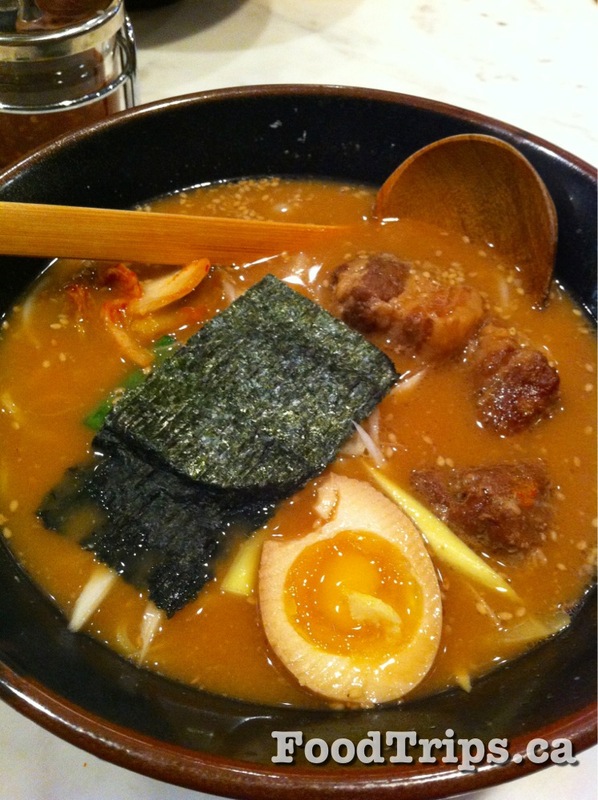 The ramen scene is also alive and well in Vancouver, and my favorites are Kintaro at the corner of Robson and Denman, and Kawawa Ramen, located at the Metrotown mall. I like Kintaro’s simple, quaint décor, which never fails to transport me back to those little mom-and-pop ramen places in Narita town, in the outskirts of Tokyo. Why Narita, you ask? It’s not because ramen is a specialty in Narita – it’s just that every time I have a long layover at Tokyo’s Narita International Airport, I make an effort to go outside the airport and sample real ramen, as opposed to eating the expensive airport food. 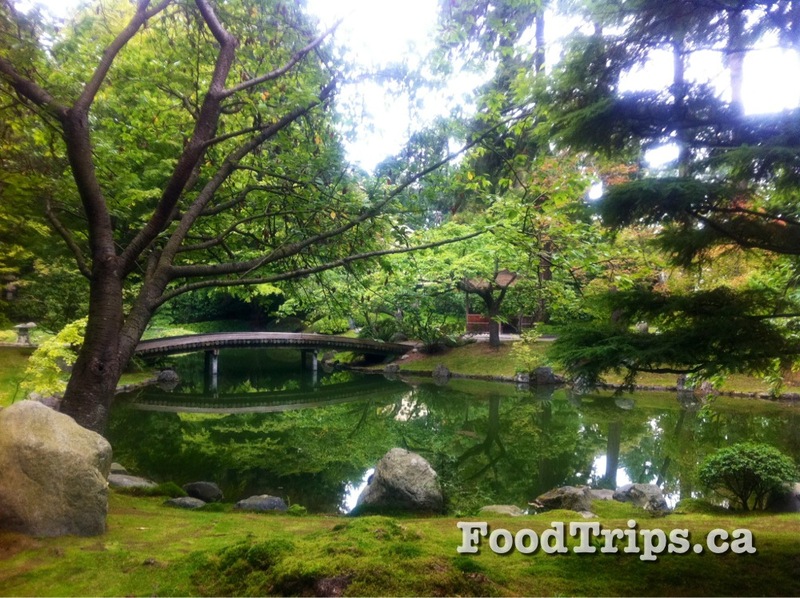 Back in Vancouver, from the fishing ports in Steveston (Richmond), to the Nitobe Garden at UBC, the Japanese culture has been embedded nicely into the city’s veins. 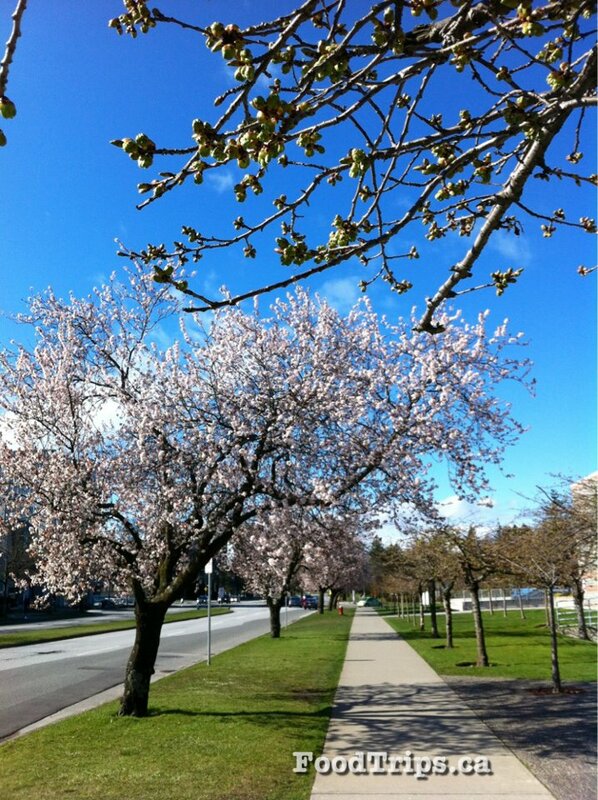 Cherry blossoms festival – Vancouver has declared March and April the months to honor more than 37,000 ornamental cherry trees generously gifted from Japan in the 1930’s. I personally haven’t seen so many Sakura trees outside the Land of the Rising Sun, and Vancouver is really transformed as an annex of Japan as the blossoms turn the city pink in the spring. If you live in North America and would like to experience the Japanese cherry blossoms festival without crossing the Pacific Ocean, then Vancouver is your next best thing. Nitobe Garden – Considered among the top five Japanese gardens outside of Japan, the Japanese Crown Prince (now Emperor) praised the garden for its authenticity when he walked through UBC’s renowned and exquisite work of art created out of two-and-a-half acres of pristine forest by landscape architects and gardeners recommended by the government of Japan. Visit in spring for the cherry blossoms, summer for the irises or autumn for the maples. Japadog – There is a street food vendor in Vancouver that sells Japanese-style hot dog. I have not tried it yet, so I can only say that the line ups are consistently long at the downtown location. There are four different locations around town and the stalls have been featured in Anthony Bourdain’s hit food and travel show, No Reservations. Japadog became a blockbuster hit in Vancouver that a branch has recently opened in New York City. Liked this story? 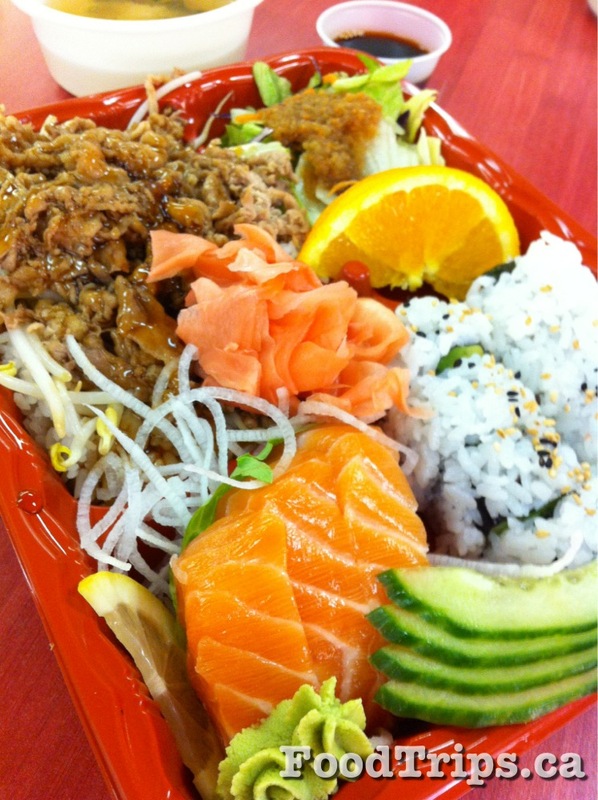 Follow FoodTrips.ca on Facebook, Twitter and Pinterest! This entry was posted in Asia, Canada, Food, Japan, North America, Travel and tagged BC Roll, California Roll, Cherry blossom, Culture of Japan, food, Japadog, japan, Japanese garden, Maki, Metrotown, Narita, New York City, Nitobe, Pacific Ocean, Ramen, starbucks, Street food, streetfood, Suchi, Tojo, Tojo's, travel, ubc, University of British Columbia, vancouver. Bookmark the permalink. I’ll go visit your site now and be inspired!